Talent, power, ambition, youth and an eagerness to set the record straight. These are just some of the values that one of the most exciting new pairings on tour bring to the table: Alba Galán and Victoria Iglesias. This is an ambitious move from both players, with one of them being forced to abandon their usual position on the backhand court to adapt to the other. Despite only being 24, Victoria Iglesias has been at the top end of the women's game for a while now. The Andalusian posseses one of the most powerful double handed backhands on tour and continues to work hard to make further progress. Iglesias spent the last season and a half with Teresa Navarro. Together they maintained themselves within the top eight pairings in the world, enabling them to qualify for the last few Master Finals. Personality, power and a huge potential to improve make the Andalusian one of the players to look out for in the next couple of years. Alba Galán has ended her partnership with her good friend Mari Carmen Villalba. Their second adventure together lasted over two and a half years and their highlights included qualifying for the Master Final and reaching the semifinals of an Open, but there have also been low points such as Galan's injuries or the disappointment of missing out on the Master Final this season. Galan has decided to make this change to try and rediscover the form that led her to being named the best young player of the season in 2016. A privileged physique with a determined character, she will look to offer everything she has to form one of the most lethal duos for 2019. 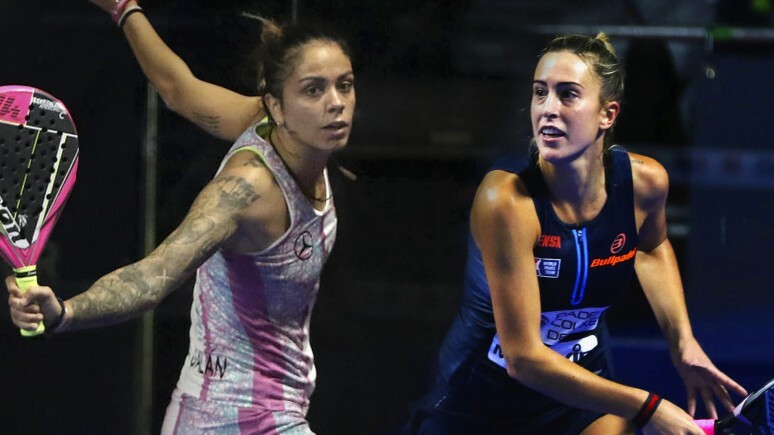 This is how Alba Galán announced the identity of her new partner for 2019 on the World Padel Tour.